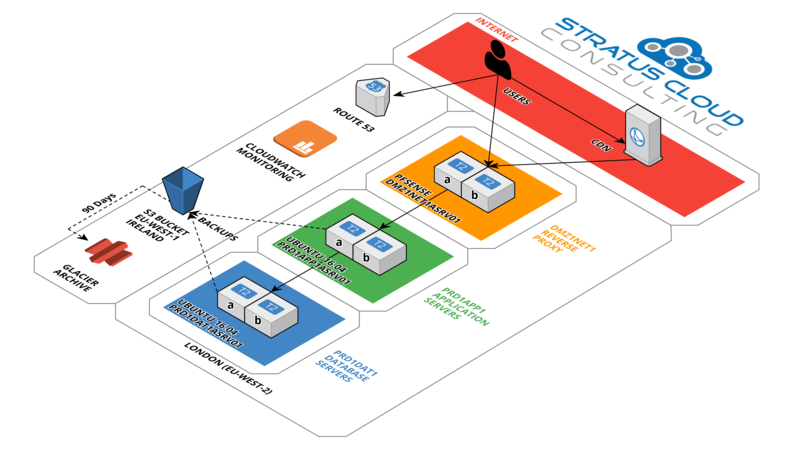 Stratus Cloud Consulting uses Amazon Web Services to host their Corporate Website. Below is the reference architecture that Stratus Cloud Consulting used to deploy their highly available Corporate Website. Below are some of the Key AWS Building Blocks that we used. At Stratus Cloud Consulting, we elected to utilize opensource technologies as much as possible to deliver a final solution that is cutting edge & extremely cost effective. Just as we selected opensource technologies as our platform of choice for our own infrastructure, so we have chosen Amazon Web Services as our hosting partner of choice. We’ve examined all the options currently available and have carefully made our selection to ensure we deliver solutions that are Well-Architectured. We selected WordPress as our CMS of choice together with MySQL as the backend Database. The solution also runs on Ubuntu 16.04 LTS in order to eliminate OS licensing Costs.